Seventy days after Yazmin Juarez and her young daughter, Mariee, crossed the Rio Grande seeking asylum, the little girl was dead from a respiratory infection she had contracted in an immigration detention facility, according to a claim filed Tuesday by her mother against one of the contractors that operates the facility. 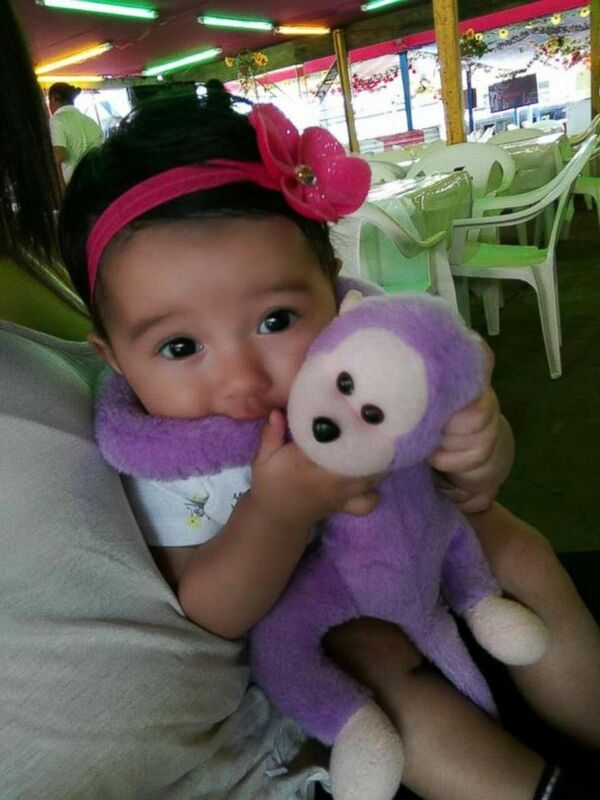 Three days before Mother's Day, instead of bringing her daughter home, Juarez left a New Jersey hospital with only an ink print of Mariee's right hand. It was the end of a six-week-long saga of hospitalizations and medical tests that she alleges started when the staff at the South Texas Family Residential Center in Dilley, Texas, were negligent in treating the respiratory infection that ultimately ended her child's life, according to the claim. 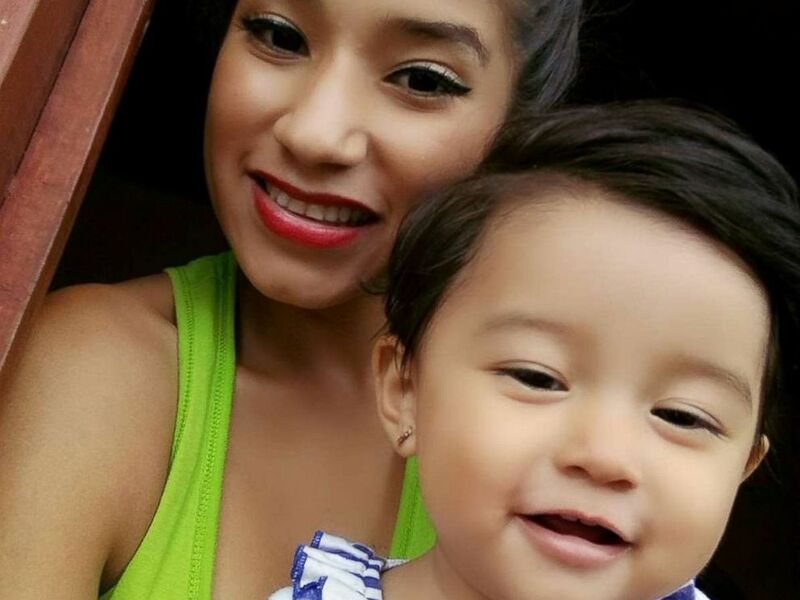 Mariee Juarez died from a respiratory infection after being released from an immigration detention facility, according to a claim filed by her mother, Yazmin. Juarez is now seeking $40 million in damages from the City of Eloy, Arizona, which is "the federal government's prime contractor operating the Dilley facility," one of her attorneys, R. Stanton Jones, said in a statement Tuesday. "Comprehensive medical care is provided to all individuals in ICE custody. Staffing includes registered nurses and licensed practical nurses, licensed mental health providers, mid-level providers that include a physician’s assistant and nurse practitioner, a physician, dental care, and access to 24-hour emergency care. 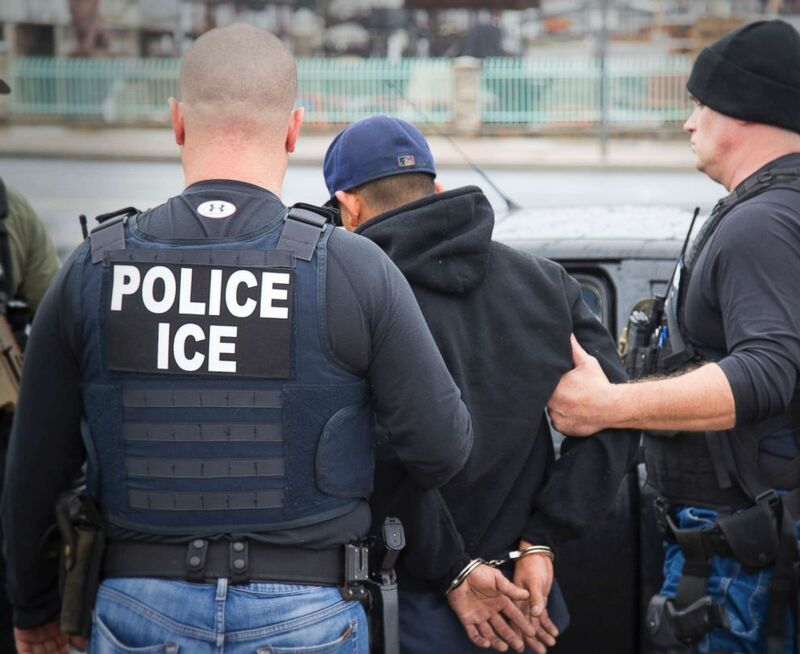 Pursuant to our commitment to the welfare of those in the agency’s custody, ICE spends more than $250M annually on the spectrum of healthcare services provided to those in our care," the statement continued. On March 1, Yazmin and Mariee Juarez crossed the U.S.-Mexico border after fleeing violence in their native Guatemala, according to the claim. Four days later, the mother and daughter were transferred to the Dilley detention facility, where they shared a single room with five other mothers and their children, according to the claim. Some of the other children in the room were sick and one little boy had "a constant cough and runny nose, and was very lethargic." 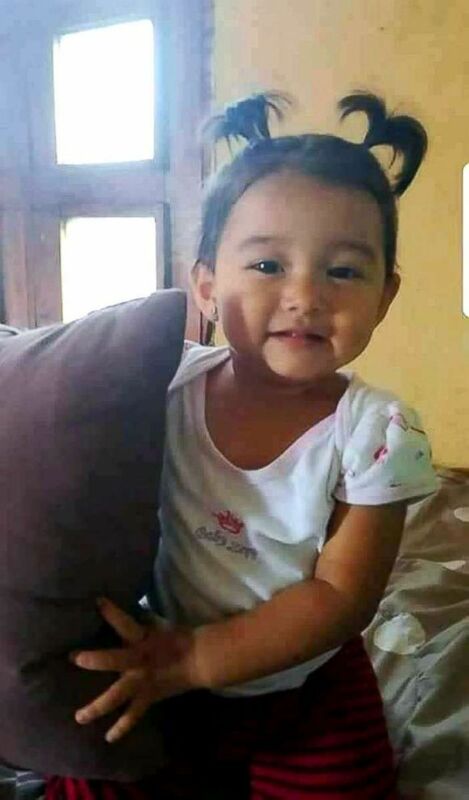 Mariee also began coughing and experiencing congestion, according to the claim, and on March 11, a physician assistant in the detention facility "diagnosed Mariee with an acute upper respiratory infection and prescribed Tylenol for comfort" and "honey packs for cough." But the next day, Juarez sought help from medical staff again after Mariee ran a fever of 104.2 degrees and started vomiting and having diarrhea in addition to her respiratory symptoms, according to the claim. Mariee was diagnosed with acute bronchiolitis and an ear infection and prescribed an antibiotic, fever reducers and oral hydration, according to the claim. Yazmin and Mariee Juarez were sent back to the detention facility's housing area and told to follow up if her condition worsened. No further tests were performed that day, according to the claim. Mariee's symptoms worsened over the coming days and Yazmin Juarez "sought medical attention for Mariee multiple times but was often left waiting for many hours, including at least two instances where she was turned away and told to wait for an appointment on a later day," according to the claim. By March 15, Mariee had lost 2 pounds -- nearly 8 percent of her body weight -- and her symptoms were worse, according to the claim. Mariee was examined at the detention facility's clinic several more times as her symptoms worsened. Her fever remained high and she was unable to keep down medication or food, according to the claim. Finally, on March 25, Yazmin and Mariee Juarez were transferred out of the Dilley facility and put on a flight to New Jersey from San Antonio, according to the claim, but "no medical personnel examined Mariee to clear her for travel." When Yazmin and Mariee Juarez arrived in New Jersey earlier on the morning of March 26, "Mariee’s condition was dire," according to the claim. She was seen by a pediatrician who tried to open her lungs because she was having difficulty breathing but was sent home with instructions for Yazmin to monitor her symptoms in case they got worse, according to the claim. Later that day, Mariee was admitted to the emergency room, but it was too late: she was diagnosed with viral bronchiolitis and tested positive for adenovirus and parainfluenza 3, according to the claim. She would spend the next -- and final -- six weeks of her life in the hospital in "progressive respiratory failure," the claim states. Mariee died on May 10 after experiencing a catastrophic hemorrhage and "irreversible brain and organ damage with no hope of survival," the claim states; her cause of death was bronchiectasis, pulmonitis, and a collapsed lung. 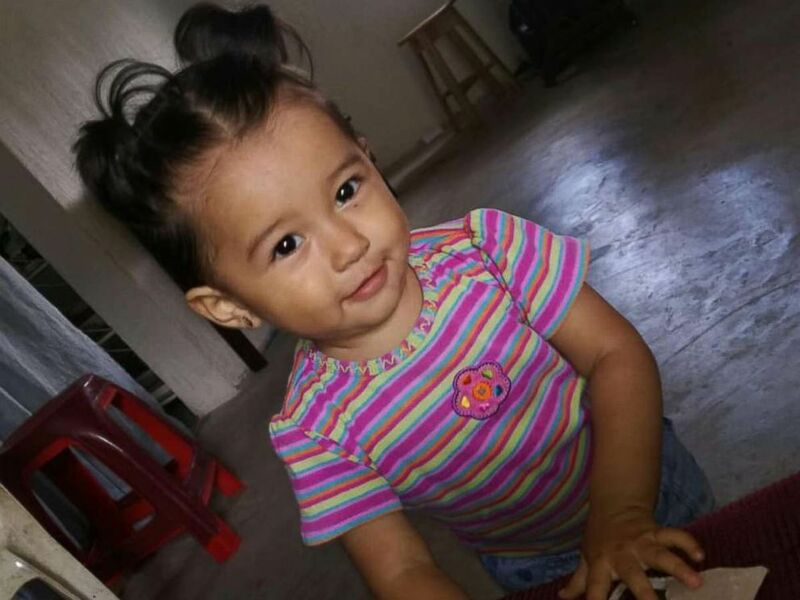 Reports of a child's death after leaving the Dilley facility surfaced weeks ago but Mariee's identity had not been released. Texas Department of Family and Protective Services Commissioner Hank Whitman had pleaded for information about the alleged incident during a Texas House of Representatives committee hearing on Aug. 9. The committee chairman asked Whitman to address allegations that a child died shortly after leaving the Dilley facility. "I hope [the attorney] is listening to this. If you just please give us the name of the child, we have no way of knowing otherwise, we don’t know if the child died the day after, we don’t know," Whitman said at the time. "I’m putting my law enforcement hat on right now, I need to know the name of that child so we can investigate thoroughly." That same day, the Texas Department of Family and Protective Services said it received the name of the child and other pertinent information and immediately opened an investigation, according to DFPS media relations manager Patrick Crimmins. 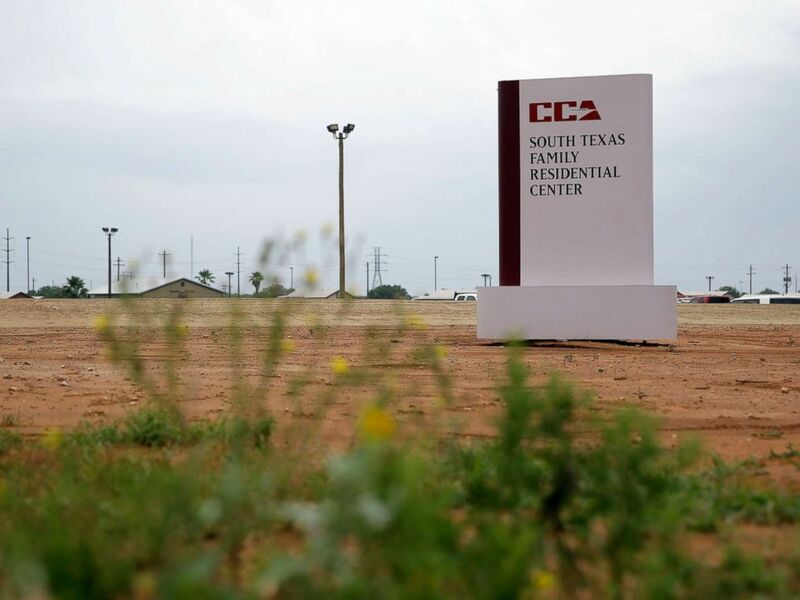 The sign to the entrance of the South Texas Family Residential Center in Dilley, Texas, is seen June 30, 2015. "ICE is cooperating with the Texas Department of Family and Protective Services’ requests for records. Prior to being contacted by Texas DFPS, ICE had not been provided by any party with a name or identifying information with which to research these allegations," ICE spokesperson Sarah Rodriguez said on Aug. 10. ICE subsequently declined to comment further. A foreign nationals is seen getting arrested during a targeted enforcement operation conducted by U.S. Immigration and Customs Enforcement (ICE) aimed at immigration fugitives, re-entrants and at-large criminal aliens in Los Angeles, Feb. 10, 2017. Yazmin Juarez is being represented pro-bono by attorneys from Arnold & Porter Kaye Scholer and Osborn Maledon. Jones, Juarez's attorney from Arnold & Porter, did not immediately respond to ABC News' request for further comment for this story. From Dec. 1, 2017, through July 31, 2018, the Texas state agency launched 51 abuse/neglect investigations at state-licensed federal facilities for unaccompanied minors as well as an investigation into the Dilley family facility. Most of the cases were determined to be unfounded, except for nine pending cases, which remain under investigation, according to the Texas Department of Family and Protective Services. Currently, the allegation of medical neglect related to Mariee Juarez is the department's only open investigation into the Dilley facility, a spokesperson confirmed. Under Arizona state law, the City of Eloy has 60 days to respond to Juarez's claim before further legal action can be taken, the claim states.